Two-time winner and five-time nominee of the Academy Award, A. R. Rahman is popularly known as the man who redefined contemporary Indian music. He has sold more than 150 million copies of his work comprising music from more than 100 film soundtracks and albums across over half a dozen languages, including landmark scores such as 'Roja', 'Bombay', Dil Se', 'Taal', 'Lagaan', ‘Vande Mataram', 'Jodhaa Akbar', 'Slumdog Millionaire', '127 Hours' and countless more. 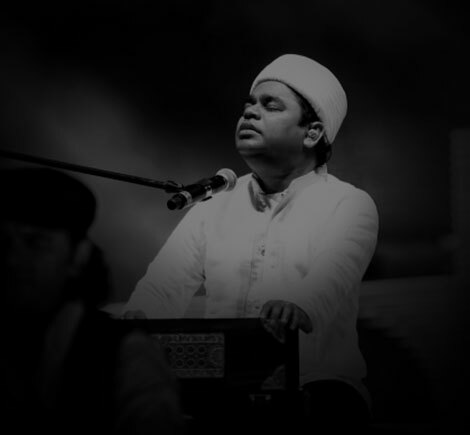 A. R. Rahman, awardee of Grammys, Golden Globe, BAFTA and Indian National Award, has also collaborated with several international artistes including Nusrat Fateh Ali Khan, Michael Jackson, Michael Bolton, MIA, Vanessa Mae, Sarah Brightman, Dido, Hans Zimmer, Mick Jagger and Akon among others. 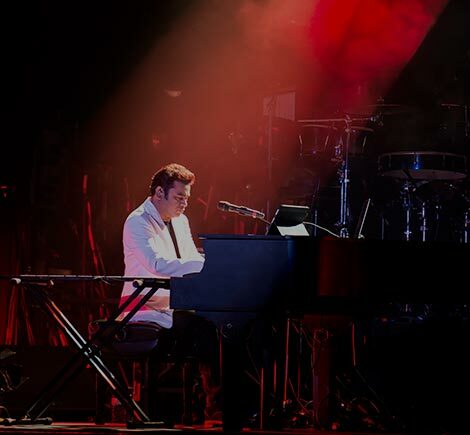 including the A. R. Rahman Foundation for poor and underprivileged children and the KM Music Conservatory & KM Music Symphony Orchestra for western classical music.